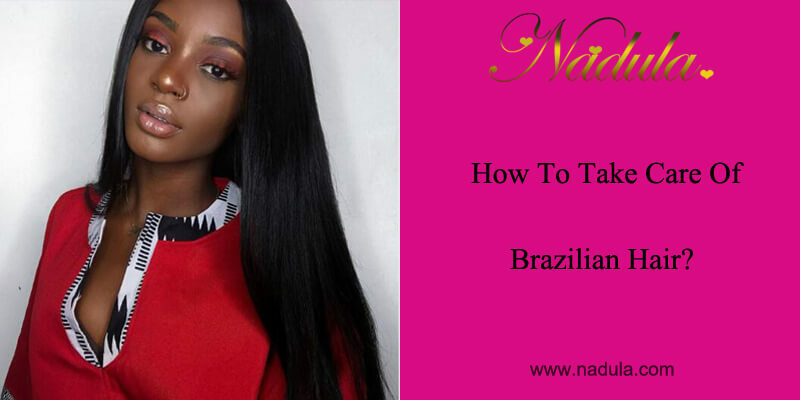 How to take care of Brazilian hair? 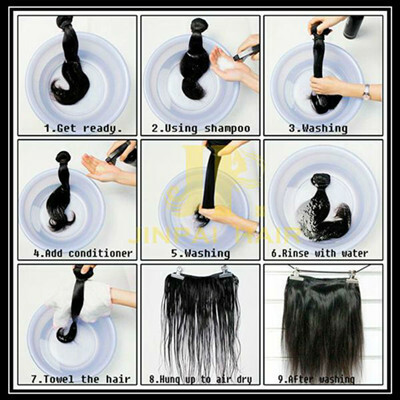 Human hair extensions are the expensive product, after people used for a period of time, whey want to know how to care for it in order to use for a long time.This is a post guide for care for Brazilian hair extensions or hair weaves.It can help you very much. This is a very important step prior to washing your hair. Ensure that your hair is free of tangles (especially at the back of the neck). Using a wide tooth or a brush, gently comb out your hair extensions. Always comb or brush the hair from the bottom up, small sections at a time. The more careful you treat your extensions the longer they will last. Put the shampoo into cold or warm water, stirring it fully and dissolve it into water.Put your Brazilian Remy hair bundles into the water and wet your hair slowly. Do not massage or rub the hair against itself. Gently comb hair with a wide tooth comb or your fingers to remove any tangles and wash in a downward motion. Rinse shampoo out thoroughly. Apply a moisturizing conditioner or mask. Use a wide tooth comb or fingers to work the conditioner into your hair. Put on a shower cap and wait for at least 10 - 30 minutes, and then rinse out conditioner out thoroughly. If you must use heat, to dry or style the hair, be sure you use a leave- in conditioner first and heat protector. To keep your hair in tip- top shape, use a deep conditioner or hot oil treatment in your hair twice a month. More or less, depending on the hair's need. This is very important if you have colored the hair or use hair straighteners. As mentioned in step 1, always keep your hair weaves tangle free. Brush or comb gently and avoid any excess tension. Always comb or brush the hair from the bottom up, small sections at a time. The more careful you treat your extensions the longer they will last. Support your attachment when brushing or combing your hair. We also strongly recommend the use of a detangling brush to comb your hair extensions every day so that it does not develop tangles, especially in the nape area. Our virgin Brazilian Remy hair can be styled as you would your own hair. You can blow dry, curl with a curling iron, straighten with a flat iron, dye with a hair dye, and style it as you would your own hair. Put your hair "up" at night. Plait, pin or roll (using bendy rollers) your hair before going to sleep. This is important in preventing tangles. Never sleep with loose wet hair, for it may tangle while you sleep. Especially for Brazilian curly extensions Sleep with a satin cap or on a satin covered pillow. What Is Mink Hair Weave?